Optimize your IT organization by running workloads where they run bestÑon premises or in the cloud. Integrate business processes across these environments and easily migrate workloads between them. 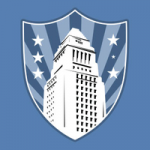 Our cloud ERP is designed specifically for local government. 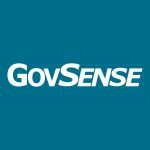 GovSense empowers jurisdictions with flexible, easy-to-use solutions that meet their needs in financials, budgeting, economic development, land use planning, project review, regulatory management, permitting & inspections, code enforcement, crm & citizen requests, asset & work order management and more.The GovSense founders have over 40 years of experience with on-premise solutions consulting private companies in professional services. They leverage the cloud and what they know about companies processes to improve government processes in a revolutionary way. Not only does the GovSense team know how to manage professional services for your organization, we also know how to manage them internally: managing people, time and tasks. Putting this service in the cloud allows us to achieve these better, smarter and faster!